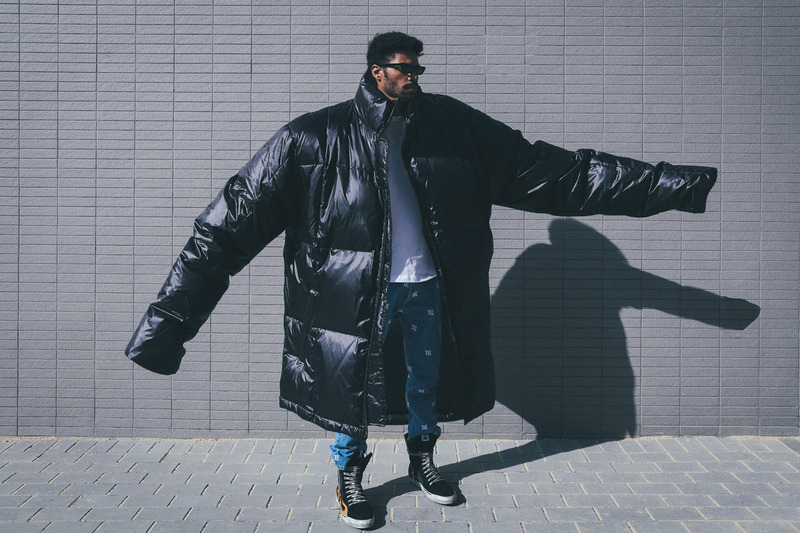 If fashion’s obsession with big jackets hasn’t reached peak-jumbo, all feeds point to @itsmaysmemes, the Instagram meme sensation that’s made it possible to think big, really big. The 16-year-old riffs on the current course of mega-size fashion that has taken over as the main topic as of recent. 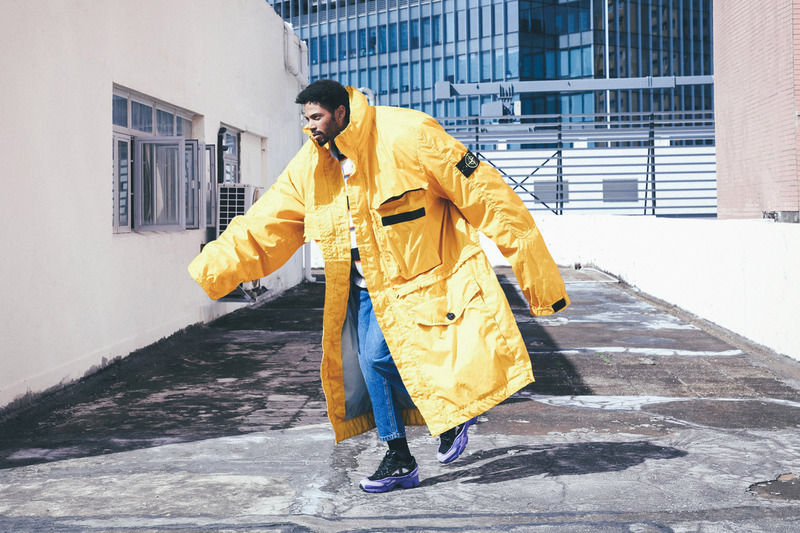 With the likes of well-known icons such as Luka Sabbat, Gully Guy Leo, Tyler, the Creator and even A$AP Rocky, @itsmaysmemes doesn’t shy away from inflating puffers to the point they become over-puffed or enlarging chunky sneakers to the max. Lately, @itsmaysmemes has been experimenting with other ways to transform her subjects, either by down-sizing them to mini-me sized minions or stretching someone till they appear elastic. Take Lil Uzi Vert as an example; the caption reads “Micro Uzi”. Kanye’s, “Kanye South” and Tyler, the Creator’s, “Daddy long legs” — in the photos his legs extend so far up that the white-tee he’s got on resembles the head of a toothbrush. @itsmaysmemes mirror’s the lighthearted silliness that the current fashion trend embodies while simultaneously flipping it on its head by revealing the irony on itself. 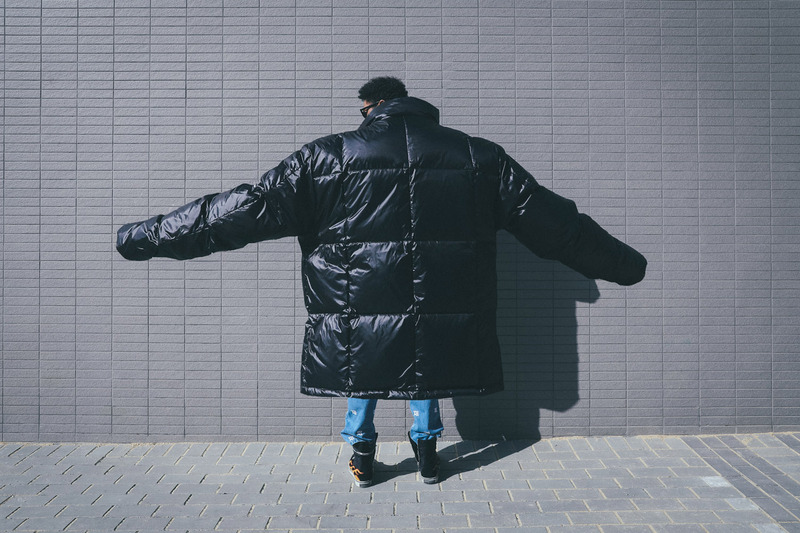 In collaboration with @itsmaysmemes, our 2018 “Massive” Editorial highlights some of our favorite, meme-able jackets, styled together with other garments. For instance, the yellow Stone Island Membrana 3l TC Jacket is layered over the Carhartt WORK IN PROGRESS Sunder T-shirt alongside the adidas by Raf Simons Ozweego III. Other highlighted jackets round out the looks featuring the Heron Preston Short Bomber, the Napapijri x Martine Rose Rainforest OP Alpha and the black Stussy Puffer jacket. We’ve teamed up alongside HYPEBEAST to chat with the young contortionist in a short Q&A about her work, life where she lives, as well as her perspectives on the current landscape of fashion. Scroll below for the full interview and more photos. HBX/HYPEBEAST: Tell us about yourself. If we look past the IG account, what are some interesting facts that we may not know about you? @itsmaysmemes: I’m a 16-year-old girl that lives in Hawaii but was born in Canada. I grew up in an extremely creative household. My dad is a graffiti artist/skateboarder, and my mom was in the fashion industry while I was growing up. 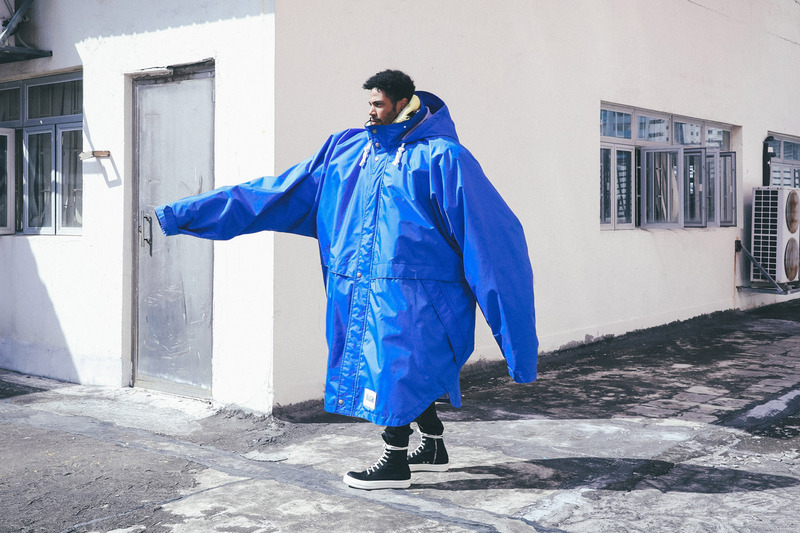 When did you first start creating your unique fashion ‘meme’s’? I started officially in November of last year. Wasn’t getting much attention except from my friends. Your memes all have a very distinct theme. How did you come up with that? I was just messing around with photoshop one night and things just kind of fell into place. I’m obviously super inspired by the oversized jackets in the scene right now. 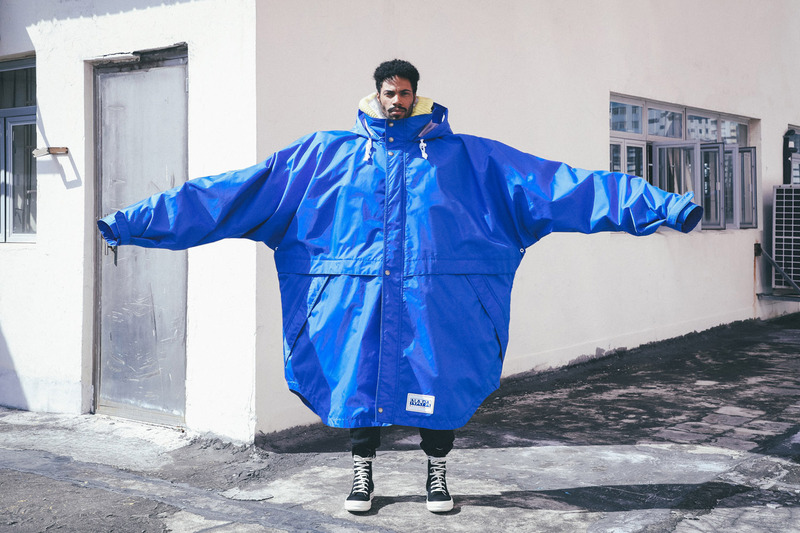 Gigantic jackets and chunky sneakers are trending in the fashion world right now, and a key part of your recent memes. What do you predict the next meme-able fashion trend will be? Great question. We will just have to wait and see. I have a few ideas but I’m just taking things day by day. I’m not trying to get too ahead of myself. How was your interest in fashion/streetwear sparked? Being that I grew up around the skateboard/streetwear/graffiti community, due to my mom and dad, Supreme has legit been in my life since I was a baby. My parents really influenced me in a huge way. It’s inspiring to see everyone work together, and I’m so stoked to be living in the mix of it all. I was literally born and the next day my mom took me straight to work with her in her little streetwear boutique. She carried labels that were exclusive to her shop from Japan, New York and LA. As much as I didn’t totally get it when I was little, I think the aesthetic and creativity that goes into bringing these brands to people very much so shaped me and what I gravitate towards today. I’m super enjoying how things are going next level with all the collabs with streetwear companies and high-end fashion labels. How do you choose which photos to use? Do you know what you are going to edit right away, or do you have to go through the photos several times. I usually have an idea of who I want to do. Then I just find a photo of them and wait for that moment where I get inspired to work my magic on the photo. What was the process link in adding your touches to the HBX photos? I really just worked on them the same way I would any of my other photo’s. I just work on the item to showcase it to bring it to the forefront and make sure that as much as the item may be exaggerated- it still seems like it could be that big in real life. I also take into account the surroundings and making it all as realistic as possible. What stood out the most in the selection of outerwear? The jackets spoke to me the most. They worked out really well and I’m super happy with how they turned out. Do any big names ever hit you up via DM? I’ve had some people with pretty large followings reach out to me, which is crazy flattering and so completely unexpected. I’ve also had numerous requests from so many others trying to get me to do an edit for them. I’m so grateful to all the people who are supporting my page and helping spread the word. I get a lot of messages everyday and I’m trying my best to keep up with all of them. Whether you have hundreds of thousands of followers or even a couple hundred. What brands do you personally wear daily? Supreme is a daily staple for me, and I mix it up with Off-White and Gucci. Which oversized artwork is your personal favorite? That’s hard one. I really like them all, otherwise I wouldn’t post it. 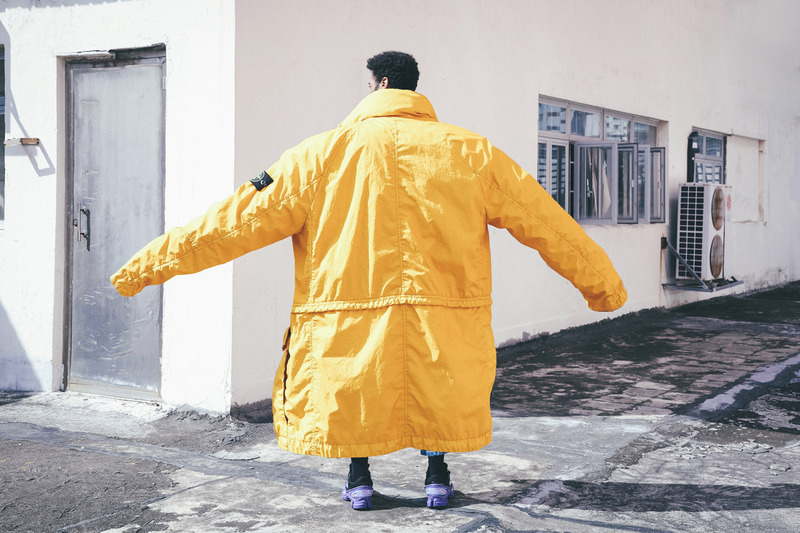 But so far, I’m feeling that Luka Sabbat one where he is wearing a giant Raf Simons jacket in a snowbank. Is there much of a scene in Hawaii? The scene here is pretty small. The shopping is pretty limited here, sadly. We aren’t a fashion mecca that’s for sure! I definitely do most my shopping online. People are pretty laid back and keep it simple cause of the heat, I think. I’m influenced and inspired by mostly by what I see online. How has the internet & social media influenced your work? Without my connection to the internet and social media, I’d be pretty much be in the dark. Coming from Hawaii, there isn’t much going on for me by the way of fashion inspiration. I need to see all the fashion shows or what’s trending on the daily. My only way to access and tap into that stream of culture is by visiting some of my favorite sites. With the rise of meme culture and social media, it seems like the photos of clothing you see on Instagram are becoming more important than the actual garments themselves: Digital vs IRL. How do you feel about the clothes you see in real life and the photos of them you see on Instagram? I think it all comes down to branding. Using even meme culture as a tool for sales and branding is a great marketing tool. It’s about trying to stand out and attract attention to your product right? Not everyone knows how to pull these looks together. We need/find our inspiration online. I think for most seeing clothing on Instagram on your favorite rapper or celebrity paves the way to inspire you to take that look and incorporate it into your life. Are you ever going to reveal yourself, and engage with your audience on a personal level? I definitely will get there and start sharing more of my world with my followers. For the time being, I’m really focused on my content and doing edits on the business side of things for other companies at the moment. It’s kind of what all my time is dedicated to these days. I’m just rolling with all the opportunities coming my way since this blew up, and just trying to tap into the community to keep on top of what they would like to see more of. Check out the brands below for our closer look at some items featured in our 2018 “Massive” Editorial.